In 21 case studies, the EUKI project BEACON evaluated national climate policies in European countries. 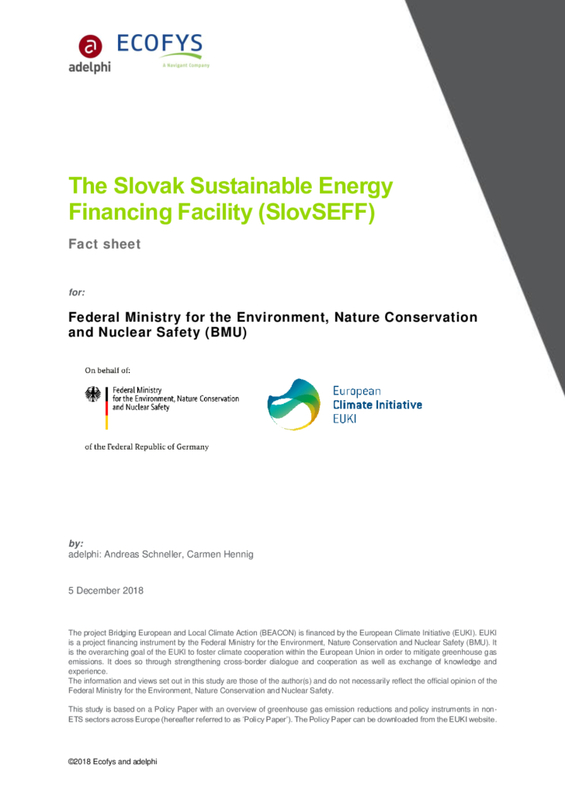 The Slovak Sustainable Energy Financing Facility (SlovSEFF) was one of the first credit lines by the European Bank for Reconstruction and Development (EBRD) to encourage energy efficiency and renewable energy projects with private industrial companies and housing associations. With the support of local banks and obligatory technical assistance it channels financing to sustainable energy projects reducing GHG emissions. SlovSEFF has supported more than 700 energy efficiency projects and sustainable energy investments that make energy lower emissions-intensive worth over EUR 200 million in total, resulting in combined annual energy savings equivalent to the total household electricity consumption of a city the size of Bratislava.